Where Can You Buy a Classic Car in Listowel? Are you in the market for a beautiful classic car in the Listowel, ON area? If so, then you need to check out the excellent classic car inventory at Stop 23 Auto today! At Stop 23 Auto, we pride ourselves on our excellent selection of classic cars available for sale. Interested customers can check out our classic car inventory for themselves at Stop 23 Auto today! The most expensive classic car in our inventory is the 1970 Ford Mustang Boss 302. 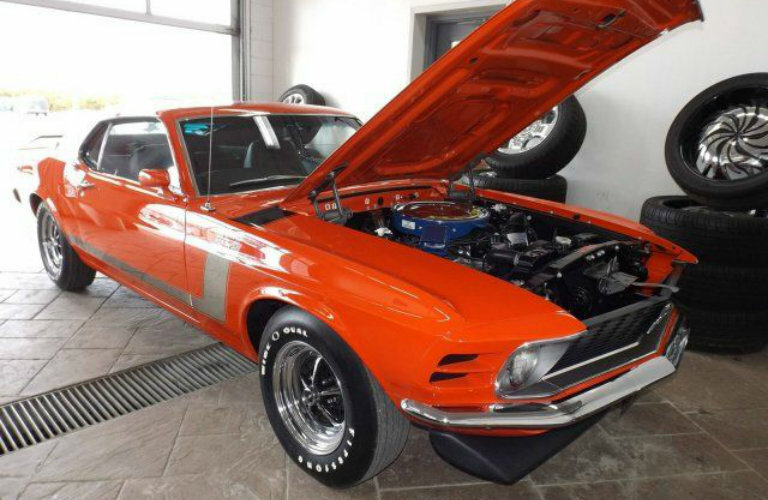 This orange classic muscle car features a small black 4.9L V8 engine that offers 290 horsepower and 290 pound-feet of torque. The 1970 Ford Mustang Boss 302 that we have available on the lot has 70,123 kilometers on it and is available for $149,000. The next excellent classic car we have on the lot is a gold 1970 Pontiac GTO. This beautiful muscle car offers tremendous power and torque that customers are sure to love. This car is also the most affordable of the three classic cars we are highlighting. The 1970 Pontiac GTO is currently available at a reasonable price of $69,995. The final classic car we will highlight is a real throwback. 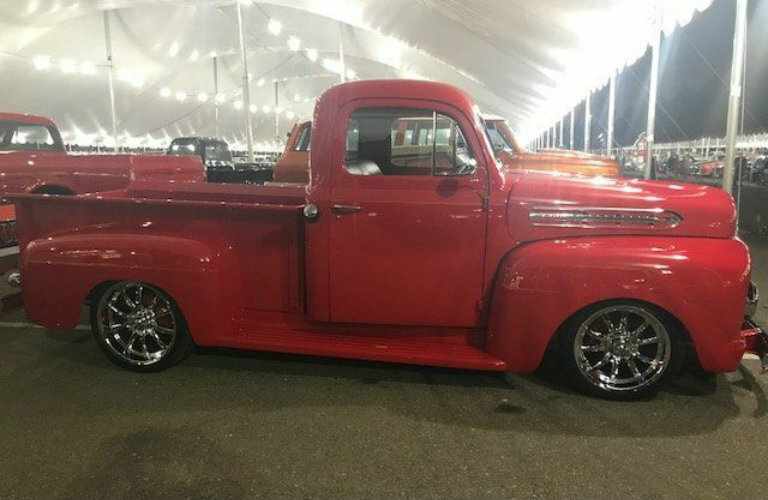 The 1951 Ford F100 Chassis comes in beautiful cherry-red and is in excellent condition. Customers are strongly encouraged to visit us to check out this beautiful vehicle for themselves! The 1951 Ford F100 Chassis is currently listed for $98,995. If you are interested in exploring any of the excellent classic cars that we’ve highlighted above for yourself, then you should contact the staff at Stop 23 Auto today! Our team is happy to answer any questions that you may have about our excellent inventory of classic cars. Visit our dealership in Listowel, ON to check out these beautiful cars for yourself today! This entry was posted on Friday, November 30th, 2018 at 1:34 pm	and is filed under Classic Cars. You can follow any responses to this entry through the RSS 2.0 feed. You can skip to the end and leave a response. Pinging is currently not allowed.